The German Site MOBILEGEEKS just claimed that they have got their hands on a list that gave us an insight regarding the pricing of the Apple iPad Mini. 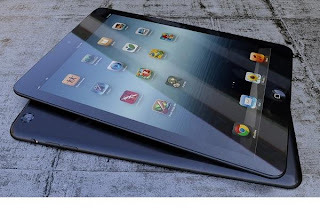 And the list gave us the information there are a total of 16 VARIANTS OF THE iPAD MINI which are going to be launched. The list unveiled the models with 8, 16, 32, and 64GB of storage, each of those comes in either black or white, and WiFi only and cellular radio models (presumably the same GSM/LTE radio as the iPhone 5). No word yet on whether cellular means 3G or 4G. If the leaked sources are to be believed, then the 8GB entry-level iPad Mini will cost just €249, roughly £200, or $320 and the the top-spec 64GB iPad Mini with Wi-Fi and Cellular connection will cost just €649, or just over £520. Thats an amazing pricing and it did make Kindle Fire and Nexus sweat all over. Current news claim that the gadget is scheduled to be released at a special event on October 23rd. But the company has still not sent out any invites regarding the same. 0 Respones to "Leak claims 16 variants of the iPad Mini, gives pricing"